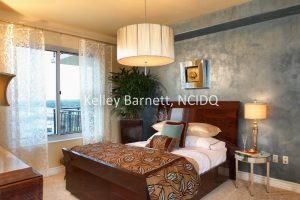 Kelley Barnett Interior Design will help you prioritize and schedule your designs, selections, time and finances for your next interior design project. To ensure that our clients receive personal service and tailored individual consideration, we are careful about how many projects we take on. Our clients enjoy exclusivity, confidentiality, one of a kind creations, and timeless solutions. We work with the finest general contractors, artisans, craftspeople, vendors, and installers. Together, we provide turn-key “design to implementation” services. All of your selections will be documented and we can also provide sketches of your designs. We will accompany you to Austin’s many wonderful showrooms so that you may view and touch samples prior to purchase. For our commercial clients, our presentations include complete sample boards, sketches and CAD drawings. While we LOVE Austin, we don’t limit our services to Austin only. Some of our past projects are located in cities all over Texas, in Jackson Hole, Wyoming, and the country of Panama. This residential design was performed solely on Skype, and involved sourcing local materials to completely outfit a Spanish Colonial Revival home in beautiful Panama. We filled several 40 shipping containers with the product and sent them on their way! So whether you are local, anywhere in the USA, or beyond our borders, we can help you with your interior design needs.